RUSH: Say, folks, before we get outta here, I want to strongly suggest a book to you. It’s James O’Keefe’s latest. It’s called American Pravda. We just had the call from the guy in Port Huron whose post on Facebook was taken down because it came from me. The work that O’Keefe has done is his latest operation exposing what really goes on at Twitter, how politically biased and discriminatory it is, it may be — and this is saying something. It may be his best work. O’Keefe is doing the kind of things that, if anybody can, maybe can change journalism. It’s a big “if,” but, if anybody can do it, he could. This book, American Pravda, details some of the operations they worked at with Twitter. But it will blow your mind what Twitter is doing and how Twitter operates, and you really need to find out about it. 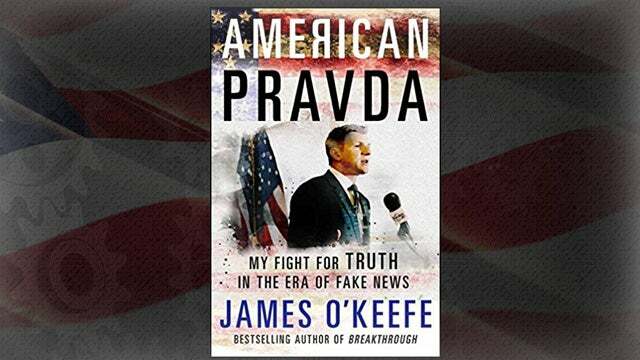 It’s an entertaining read, and it’ll inspire you, and you’ll be thankful that there’s a guy named James O’Keefe doing what he’s doing. It’s American Pravda.